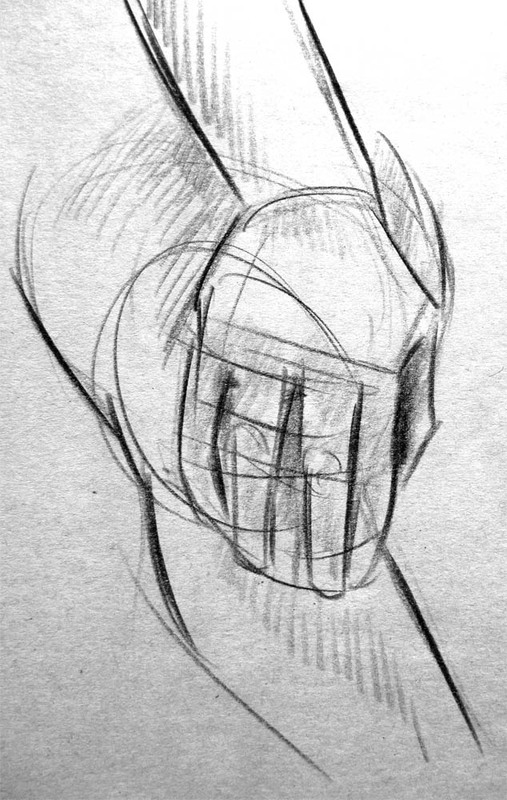 This idea I’ve had for a while, but today I had the chance to get all the keys and some of the breakdowns drawn. Lots of issues here still, so I look forward to working on it more. The freelance project I’m working on is very serious, with no colour … so I wanted to draw something completely different today! I’ve had an idea for a short, or perhaps a series of shorts, in Flash. I’d like to keep the characters really simple, like the birds in my “Good Morning!” short. I’ve been working on a large freelance project which means I haven’t had much to put on the blog! 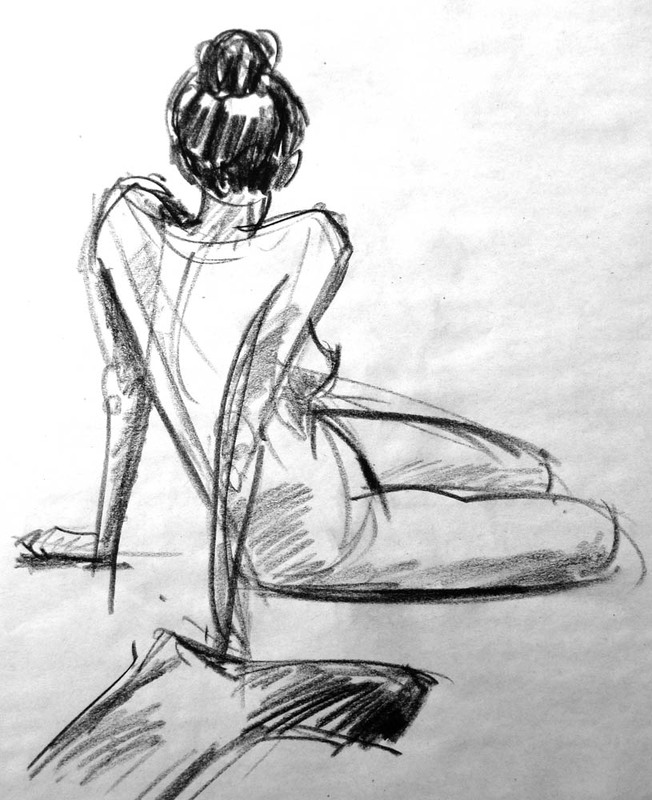 After missing last week, I managed to make it along to the life drawing class again. 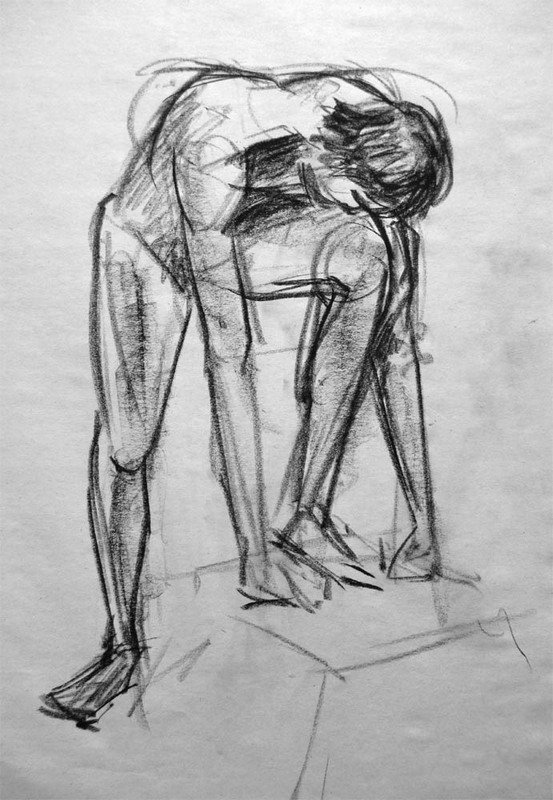 These are a few sketches from the life drawing club I went to yesterday and the fortnight before. It’s nice as they have some excellent models and shorter pose times, as well as a very relaxed atmosphere. The club is called All The Young Nudes. 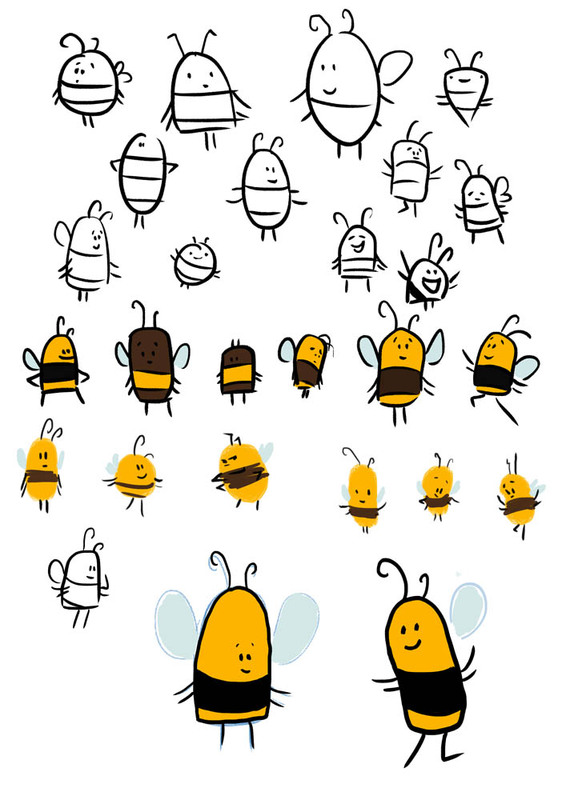 The pencil sketches are from a fortnight ago, and the pastel ones are from yesterday. 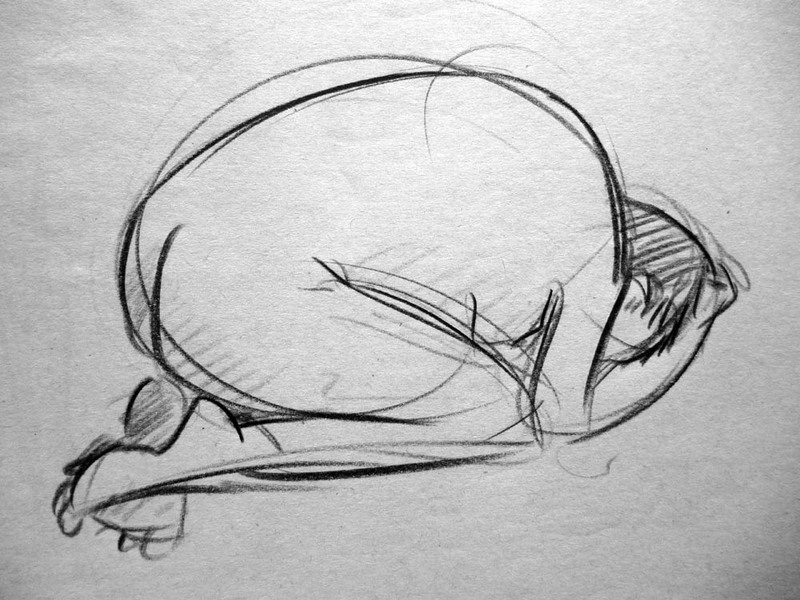 I’d like to get into the habit of drawing daily so I’ve come up with a list of short exercises to do, one each day. 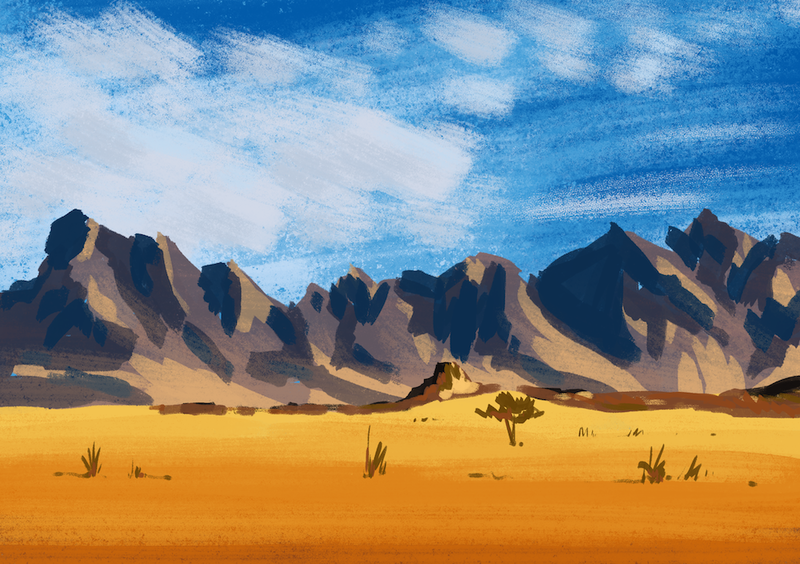 Today’s was a landscape study. I did a B&W study first to try and understand the tones in the photograph. 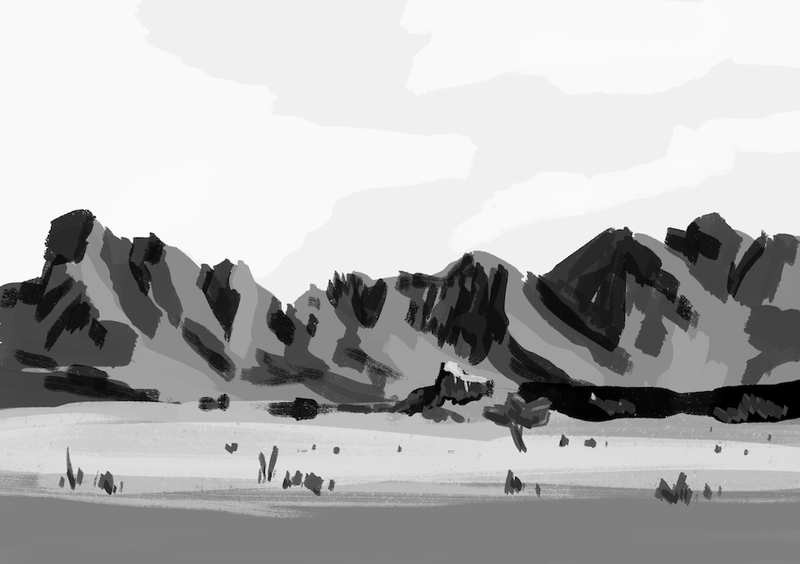 In my sketch it’s difficult to distinguish between the mountains and the rocky formation in the foreground. In future I’ll allow myself to play with more values of grey. It also took me a while to realise that though the shadows on the mountains were dark they were lighter than the shadows in the foreground. For this exercise I took the colours directly from the photograph. 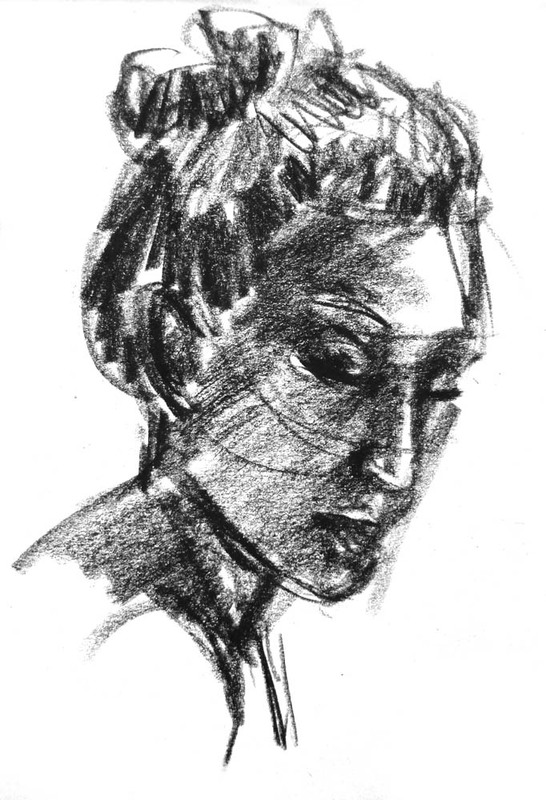 I plan to build up to the point where I choose my own palette, and work in real paint, pencils, pastels etc.